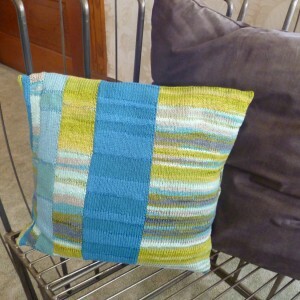 Our assistant, Jess, is back to share with us a few of her favorite new designs using the technique of intarsia. 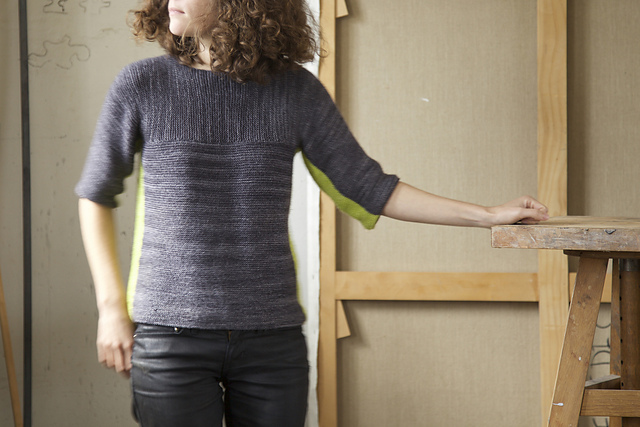 Intarsia knitting is our technique of the month at EduKnit, and we’ve been exploring all the ways that this color work technique can add pizzazz to your knitting. 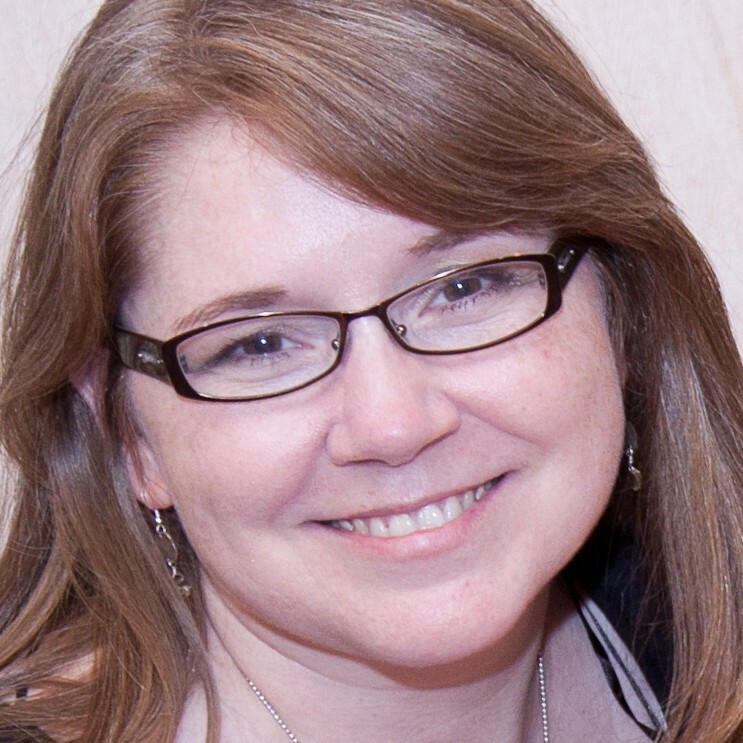 Take it away, Jess! When I think of intarsia, I often think of the adorable, kid-friendly designs like sweaters with dinosaurs and baby blankets with bears on them. 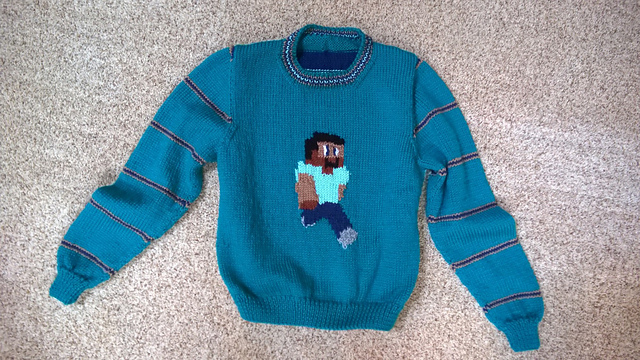 Steve from Minecraft by Sandy Myerson caught my eye because it’s an updated take on that particular theme, featuring a character all three of my children love: Steve! If you’ve got some Minecraft fans in your household, this intarsia motif is sure to be a hit on a sweater, pillow, scarf, or hat. What would an intarsia design roundup be without a bit of whimsy thrown in? 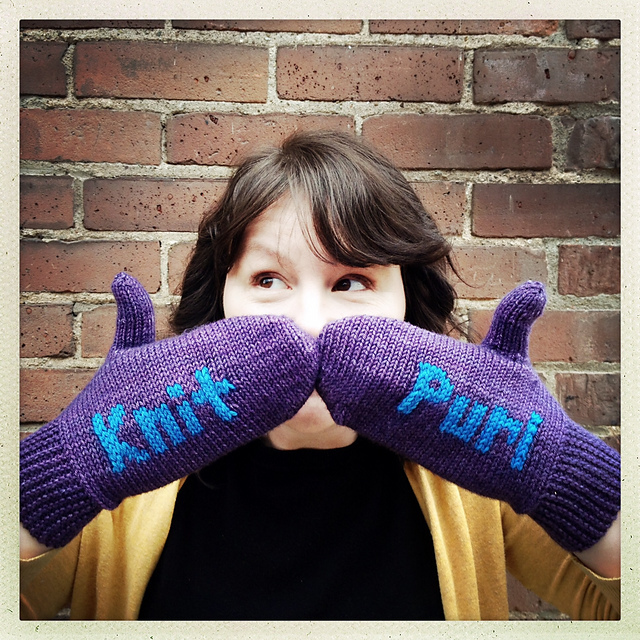 These adorable Tattoo You mittens by Darn Knit Anyway are the perfect addition. I love how they let us knitters wear our hearts on our hands with a design that declares our love of yarn to the whole world. Do you have a lot of leftover yarns hanging around the house? 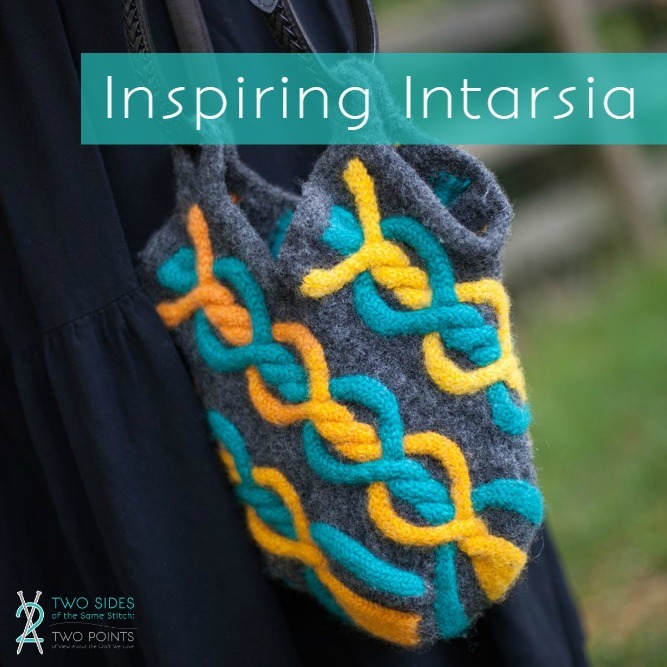 I think intarsia would be a fabulous way to use those up, because you often don’t need very much of one particular color to complete the design. 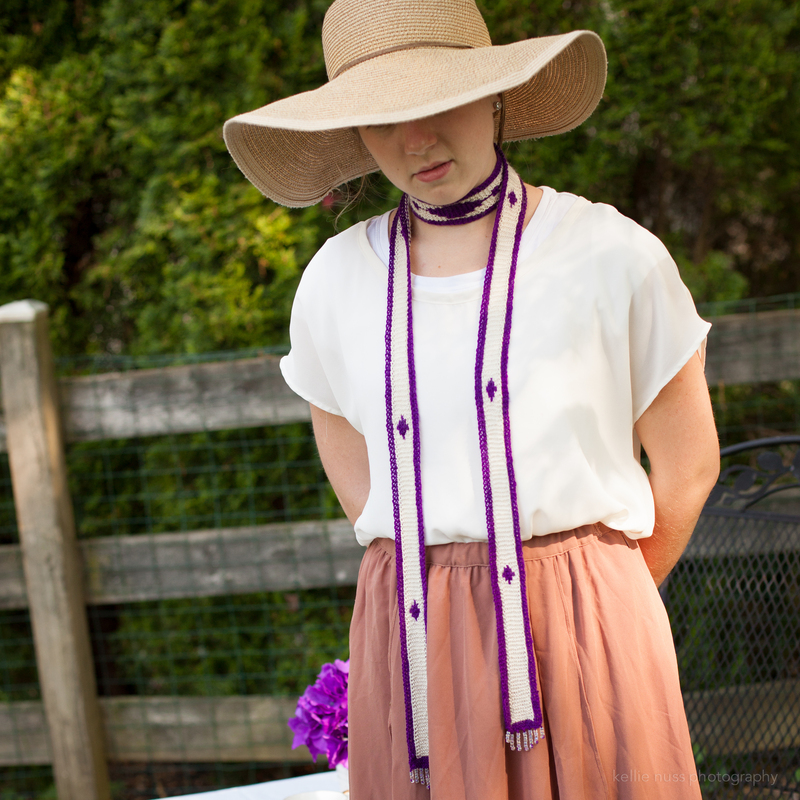 The Lakeview Scarf by Virginia Catherall would be perfect for that! And if you’re looking for a pattern from a resource you can trust, look no further than the Two Sides, Two Points team! 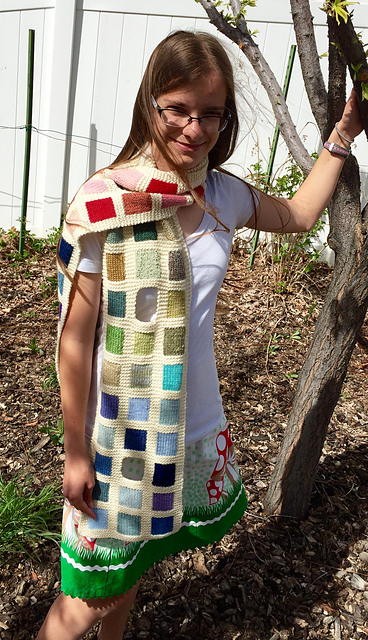 Gwen and Kellie have whipped up three beautiful new intarsia patterns for May. And finally for something a little more complicated, the Double Twist Handbag uses intarsia and cables to put a new twist on a familiar favorite item to knit. Who doesn’t need one more bag? I hope you’ve enjoyed my little roundup. 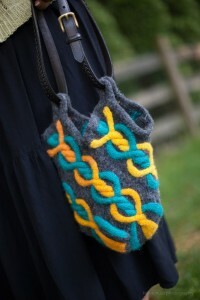 Leave a note in the comments with YOUR favorite intarsia design!